Loose vase-shaped deciduous shrub native to China. 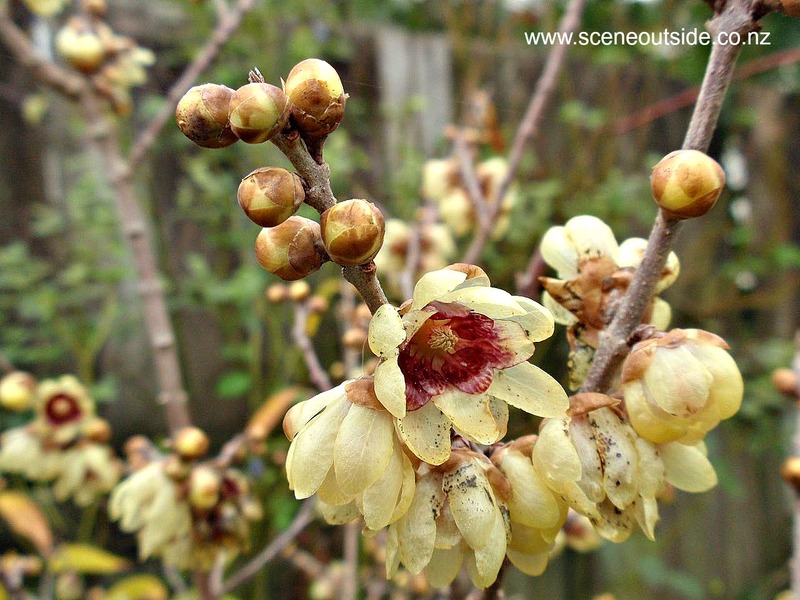 Very fragrant, waxy, cup-shaped flowers, 1.5-2.5 cm across, on previous season's bare wood during winter, pale yellow with purplish-red stain in the center on the inner petals. 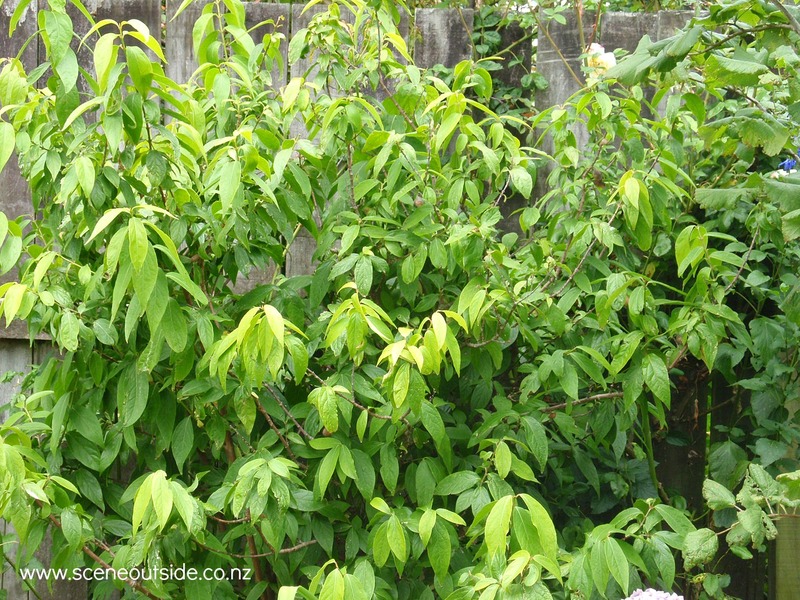 Opposite, lance-shaped, dark green leaves, 7-12 cm long, with rough upper surface, turning yellow in autumn. 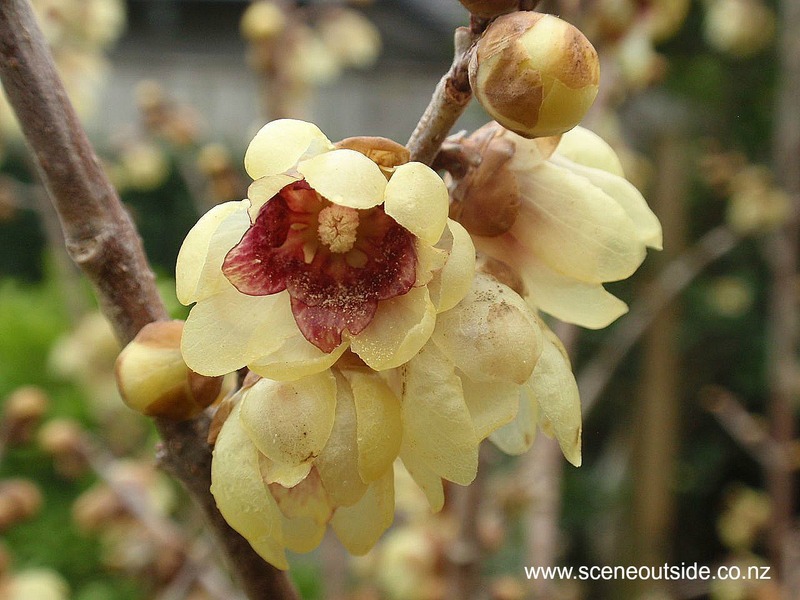 Chimonanthus praecox 'Grandiflorus' has larger deep yellow flowers to 5 cm across. Chimonanthus praecox 'Luteus' has slightly larger yellow flowers without the purplish-red stain. Prefers a sheltered position in full sun or light shade with good drainage. Best planted against a dark background where you can enjoy the flowers and their fragrance.